Celtic have made some horrendous signings over the years. Every Celtic manager during their time at the club, have drafted in someone who was a total failure. I won’t go over old ground. We know who those players were. 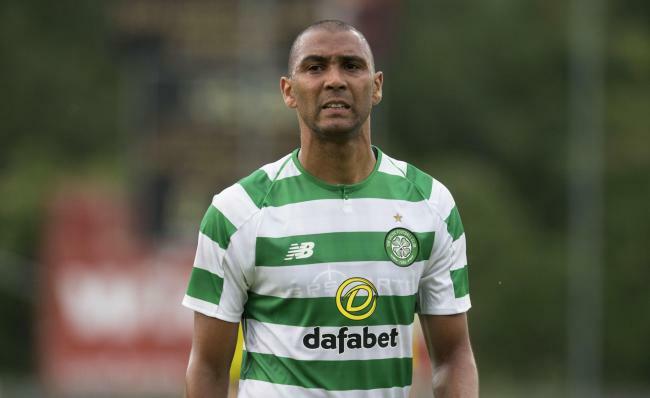 For Brendan Rodgers, Marvin Compper has been his glaring error. And the other day there were quotes in the media from the German defender about his situation at the club. Compper was supposed to be the answer to Celtic’s defensive crisis back in the January transfer window. He was experienced, played his career in the top flight of Germany and Italy for at least a decade and even got one cap for his country. With age not on his side he was never going to be anything other than a short-term solution to a long-term problem. And yet, his game time has been even more short-term than we all expected. Either side of his only appearance of 83 minutes against Morton, he has been sidelined by injury. This season, I expected him to get the chance to remedy last seasons false start. Having been left out of the Europa League squad for the group stages, the writing was on the wall. He has stated that his team mates don’t understand why he isn’t playing, that he had to hire his own fitness team to get back from injury and is now fit and available though not being selected. It was also suggested by the player that the club said he was allowed to leave during the summer. That doesn’t appear to be on his agenda as his contract runs until 2020 and shows not sign of wishing to leave. Of course, this is Compper’s version of the situation. Brendan Rodger has now provided some perspective as well. The Celtic manager stated that the loss of the players services at the beginning of his contract meant that he fell down the pecking order. Furthermore that if he wanted regular football it was suggested he look elsewhere as age was not on his side either. Based on the words of each party, it seems Celtic would like Compper off their books, but Compper is sitting it out whether he plays or not. What is also obvious is that this has been one glorious failure. £1M isn’t a huge amount of money in the world game these days, but throw in his wages without getting anything in return then it all adds up to throwing your money away. And Compper now joins a list of Celtic flops that goes back to the early nineties. If Compper was asked to look for another club then it is clear Celtic were trying to cut their losses without paying him off. That is all well and good, but this poses a bigger issue for Celtic’s current scouting system and the decision making around player purchases. We may have the ability to procure the services of guys like Moussa Dembele and sell him on for a hefty profit. That doesn’t seem to prevent us from making erroneous signings that are no better than the young talent knocking on the door at Lennoxtown. The question is, why spend the money on these risks? Why not take a punt on your youth players we’ve already invested in from a young age? The timing of this media outburst is of course is all very convenient. Former Leipzig player has a go at Celtic to the German media a few days before the clubs meet for the first time in their history. This is probably the closest Compper will ever be involved in a Celtic headline ever again. He certainly hasn’t done his career at the club any favours, but perhaps thought he was doing his old club one.